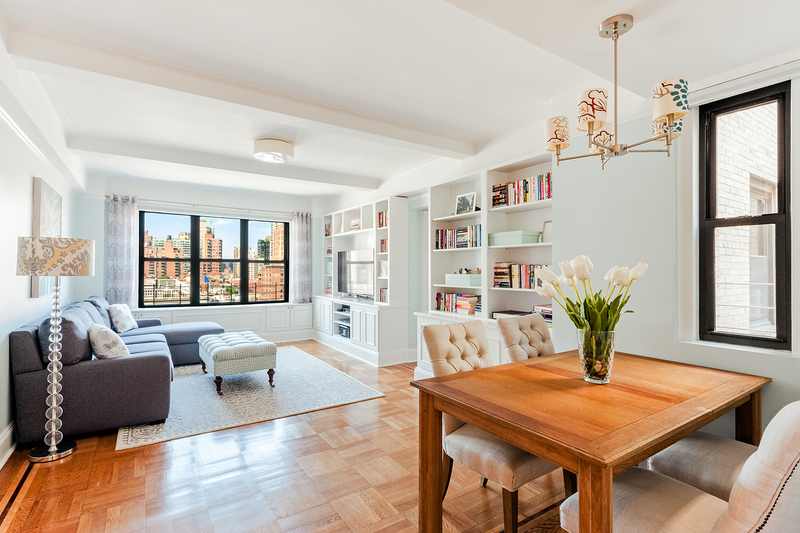 This exquisite high-floor 2-bedroom 2-bath residence located in prime Upper East Side is the prewar home you have been longing for. In mint condition, this spacious light-filled apartment with skyline views has a thoughtful layout and impeccable design. 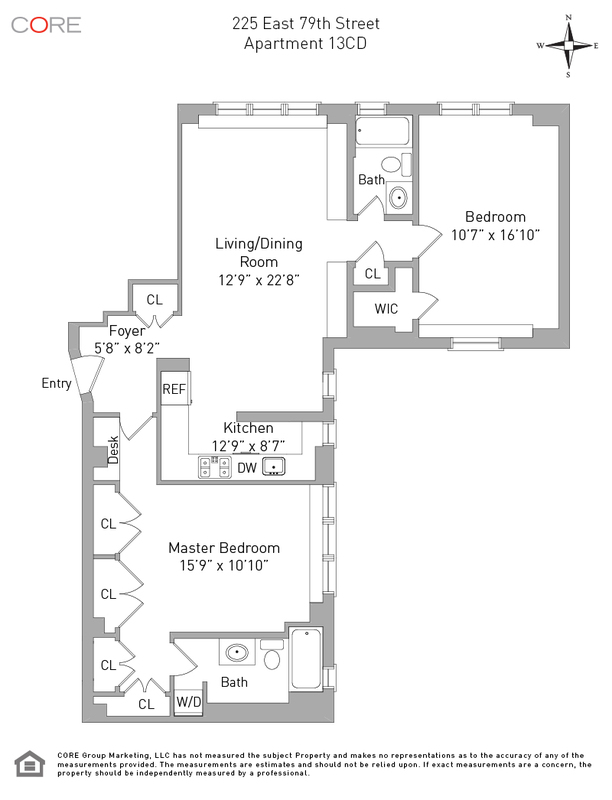 You will love the split bedrooms and the distinctive features such as original inlaid hardwood floors, beamed ceilings, crown moldings, and custom doors accented with Baldwin crystal doorknobs. Upon entering, a welcoming foyer unveils an elegant sun-kissed living room with beautiful custom-built cabinetry and a separate dining area. The windowed kitchen is equipped with top-of-the-line appliances, quartzite countertops, and Carrara marble backsplash. The generously proportioned master bedroom is a serene sanctuary with a tastefully designed wall of custom closets, and a perfectly positioned built-in desk. Both the en-suite and second baths have windows and are adorned with Carrara marble floors and counters, and Kohler fixtures. Sunlight pours through the large second bedroom which has its very own walk-in closet. Additional highlights include through-the-wall McQuay air conditioning/heating units, designer overhead lighting and an Asko washer/dryer.